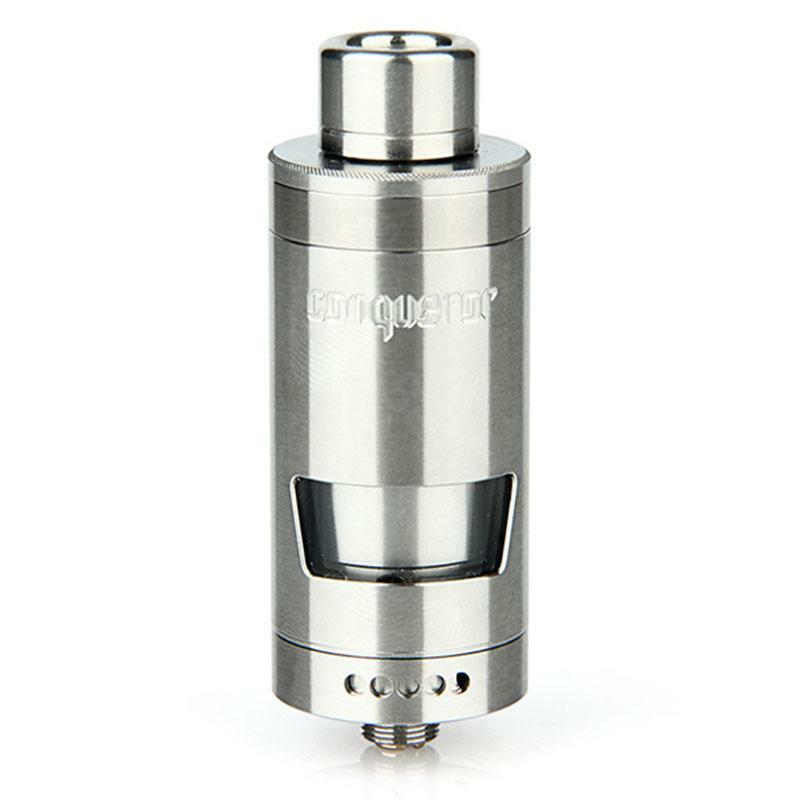 WOTOFO Conqueror RTA Atomizer, a rebuildable tank with a dual coil postless build deck 22mm diameter. features top filling, independent juice flow control, dual adjustable airflow and 4ml capacity. Black and Steel colors. WOTOFO Conqueror RTA Atomizer, is a rebuildable tank with a dual coil postless build deck. Top filling, independent juice flow control, dual adjustable airflow and 4ml capacity make Conqueror RTA a must buy for build enthusiasts and advanced users. 10. Set the juice fill cap on and open the juice flow control cap according to your preference; enjoy vaping now. My new wotofo conqueror rta arrived 2 weeks ago. So far everything is perfect. A vape buddy of mine recommend this store. Really nice, so many good stuff and with cheap price. Conqueror rta is working great. Would buy again. Easy to build. Nice airflow. No leakage. This thing is awesome.